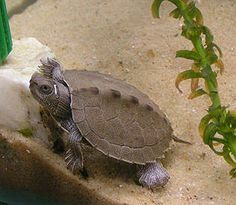 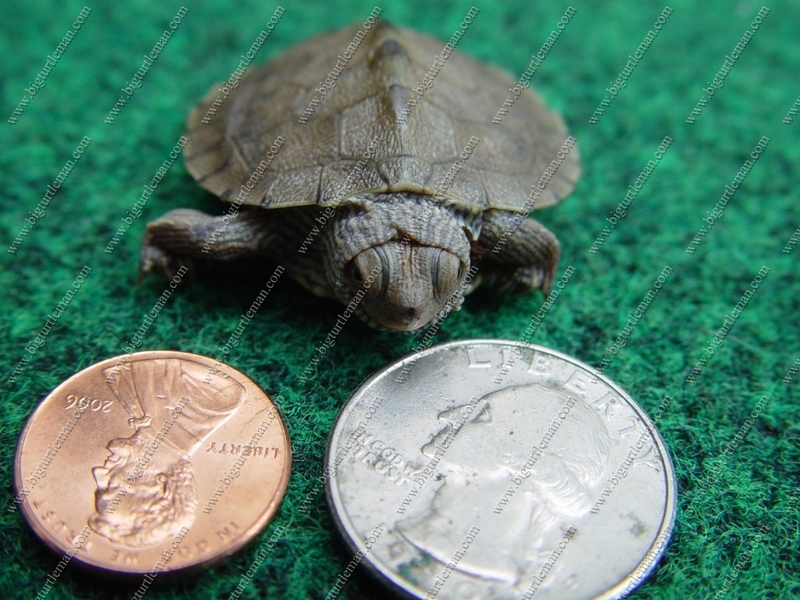 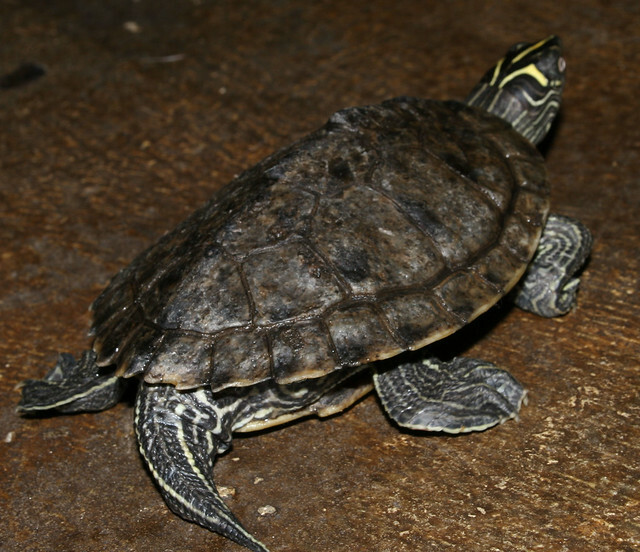 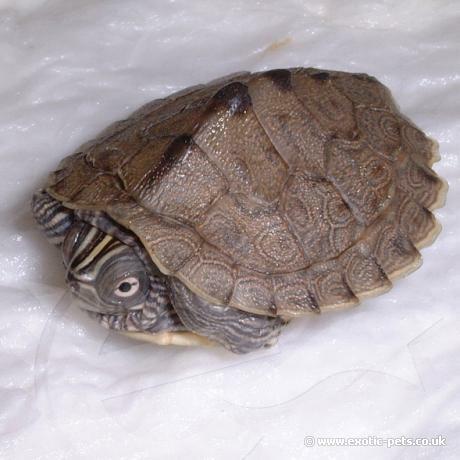 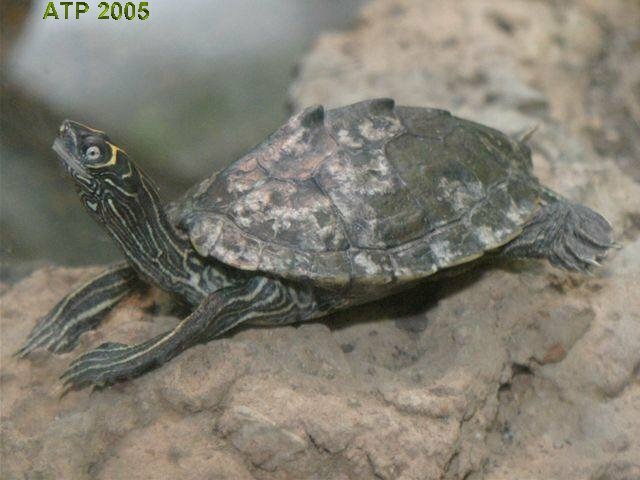 The Mississippi map turtle (Graptemys pseudogeographica kohni) is a subspecies of land and water turtle belonging to the family Emydidae. 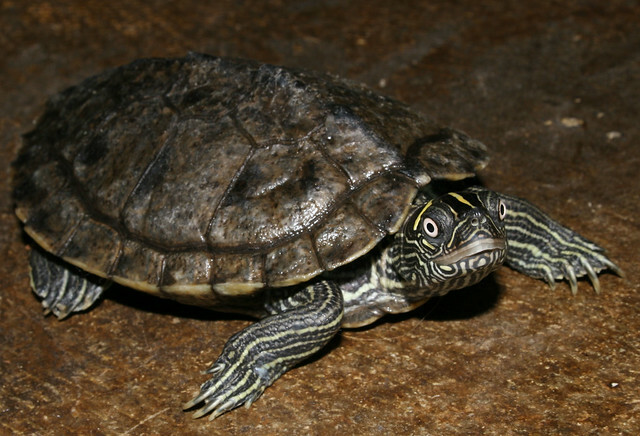 G. p. kohni is endemic to the central United States. 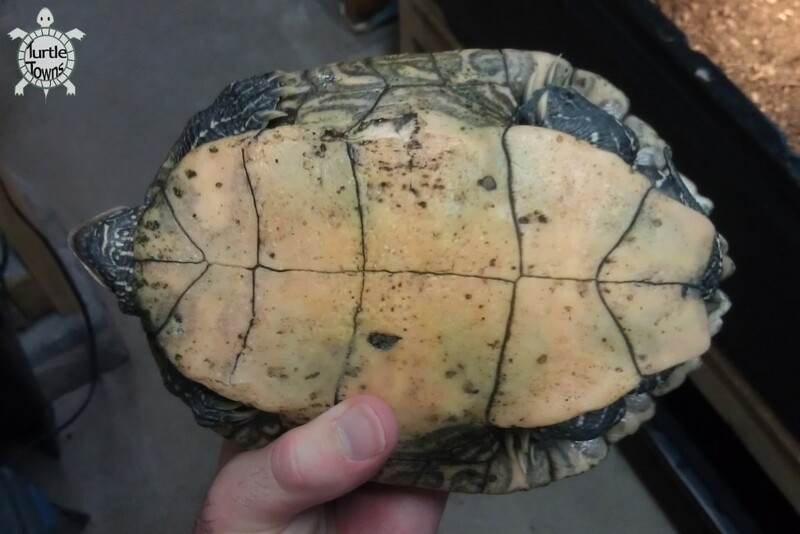 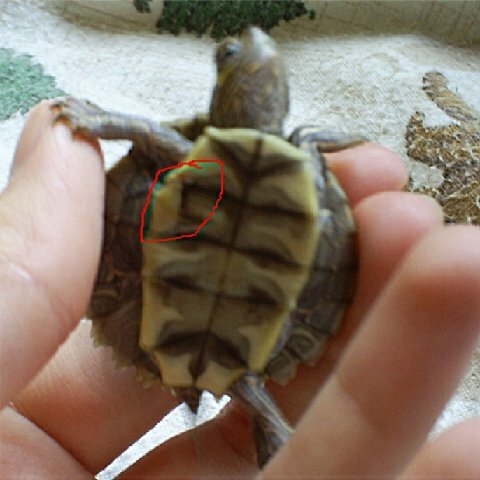 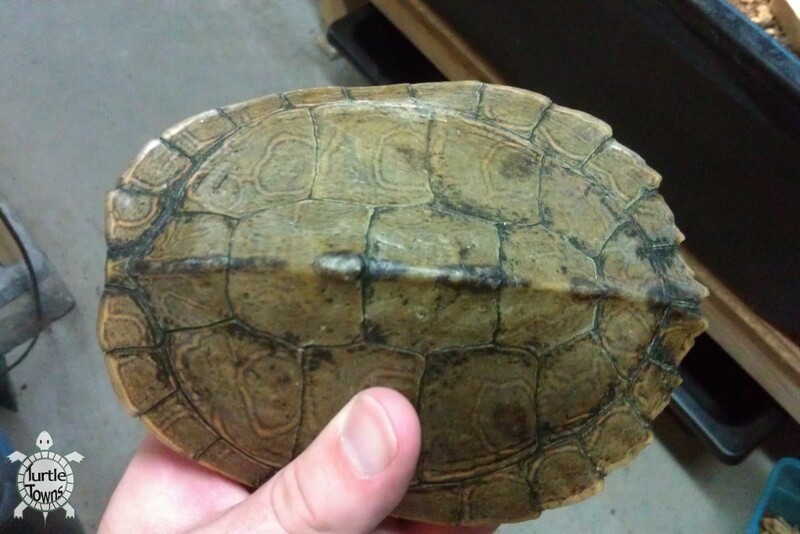 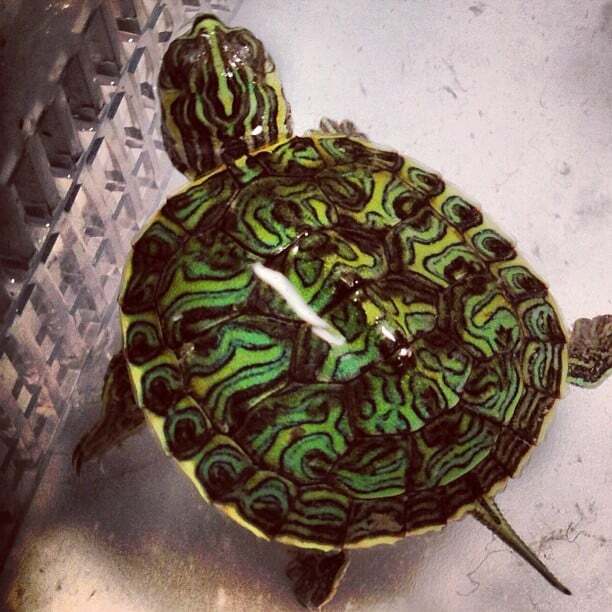 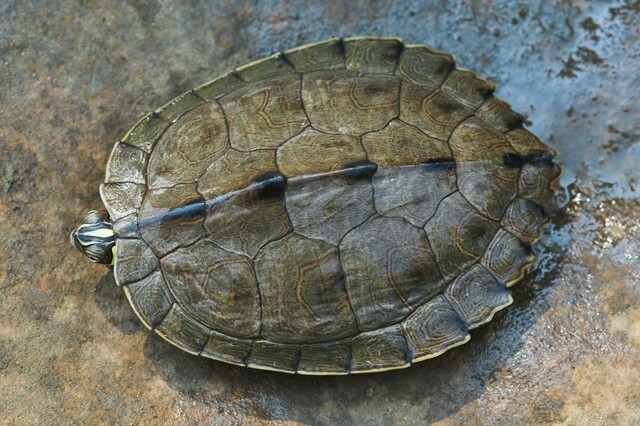 Map turtles (genus Graptemys) get their common name from the lines and markings on the carapace which resemble the contour lines of a map. 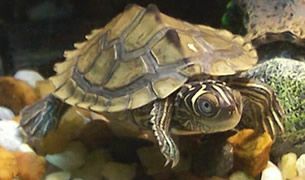 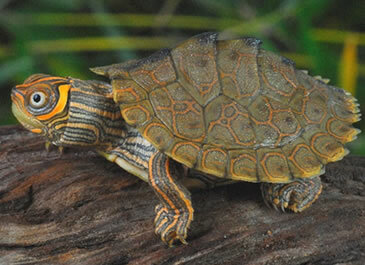 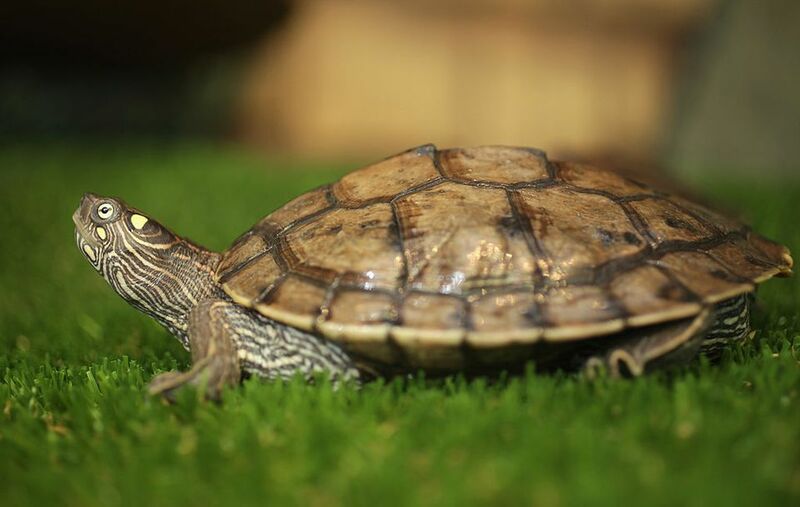 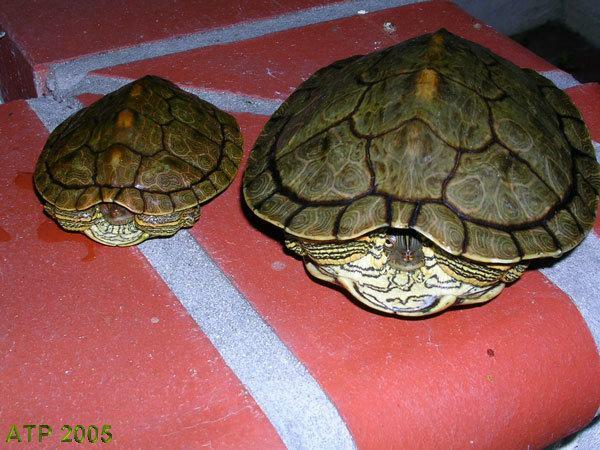 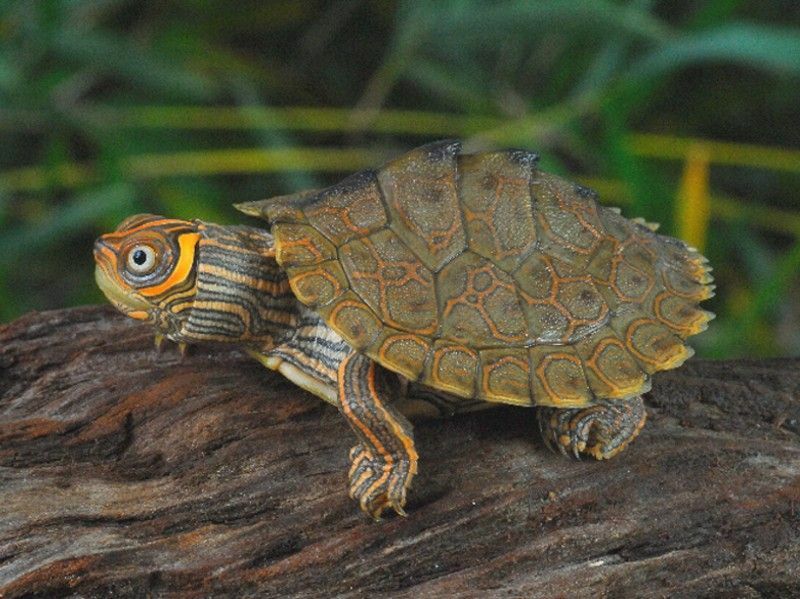 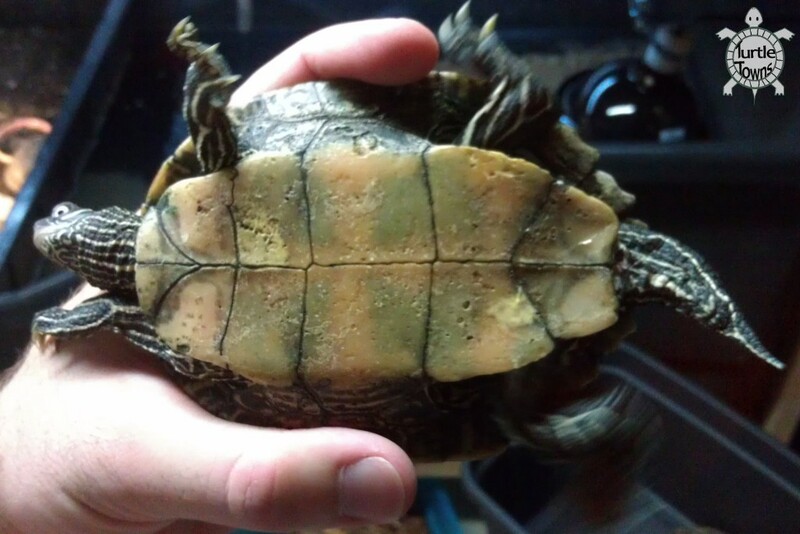 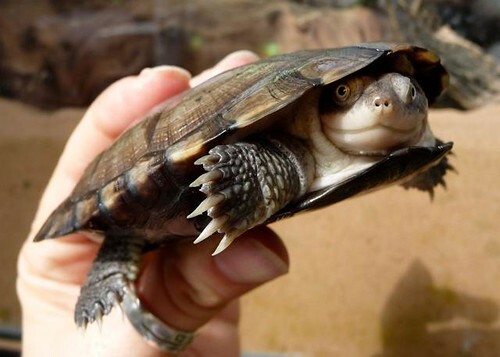 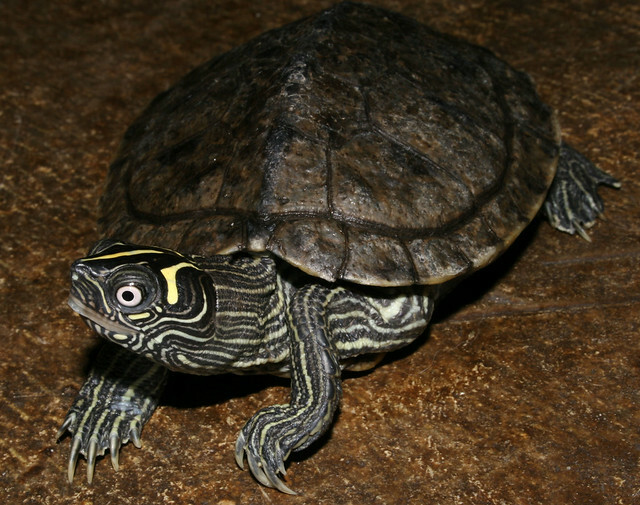 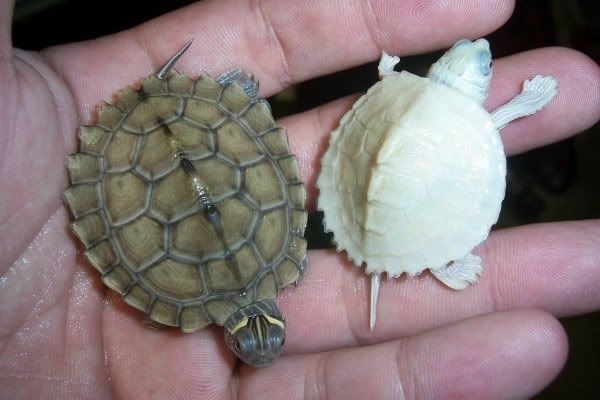 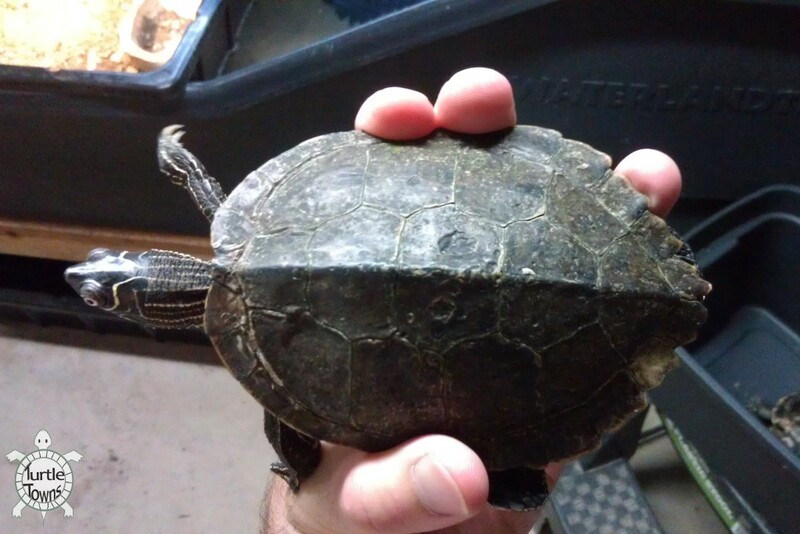 Species of map turtles occur in the Mississippi Valley from Illinois and Nebraska, southward into the Gulf States from Mississippi to Texas, usually in rivers, lakes and large streams (not typically in isolated farm ponds or small creeks). 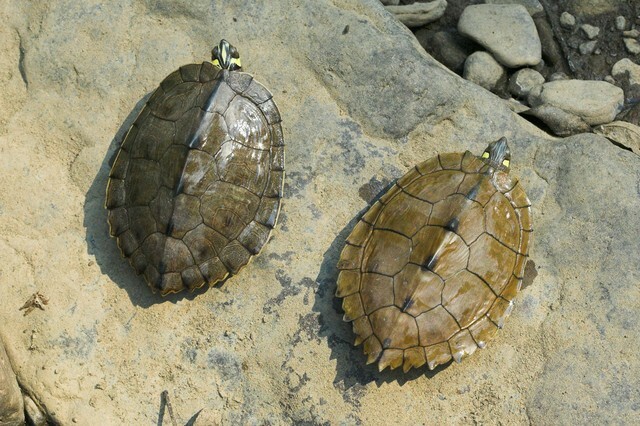 They tend to prefer habitat with abundant vegetation.